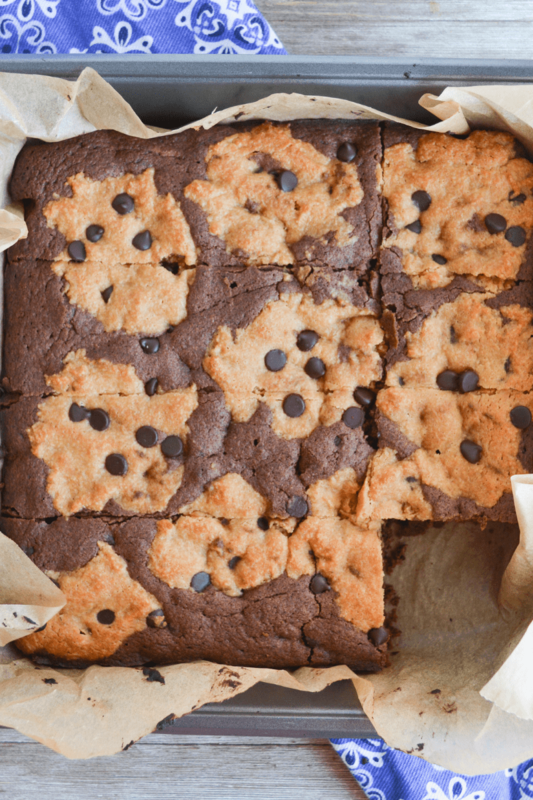 These keto brookies are a delightful low carb treat with impressive macros for your keto diet! Only 4.3g net carbs per serving! 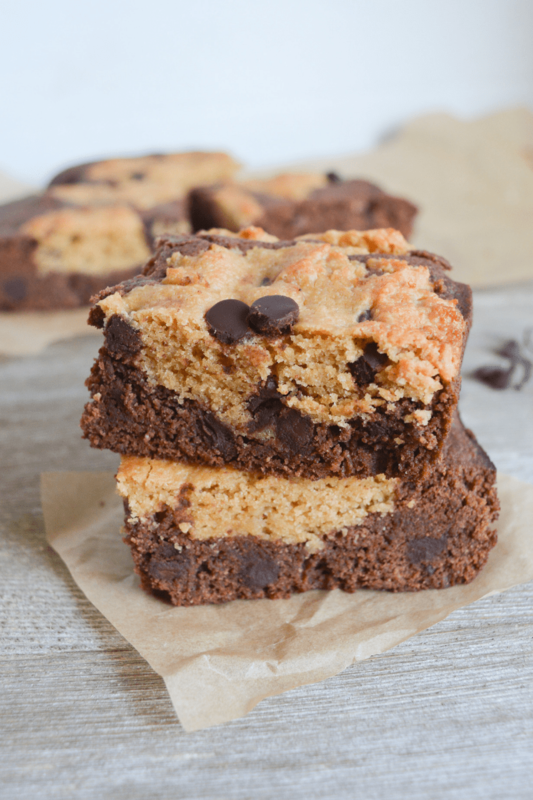 Brookies are simply the fusion of brownies and cookies, and the taste is nothing short of absolute delight. 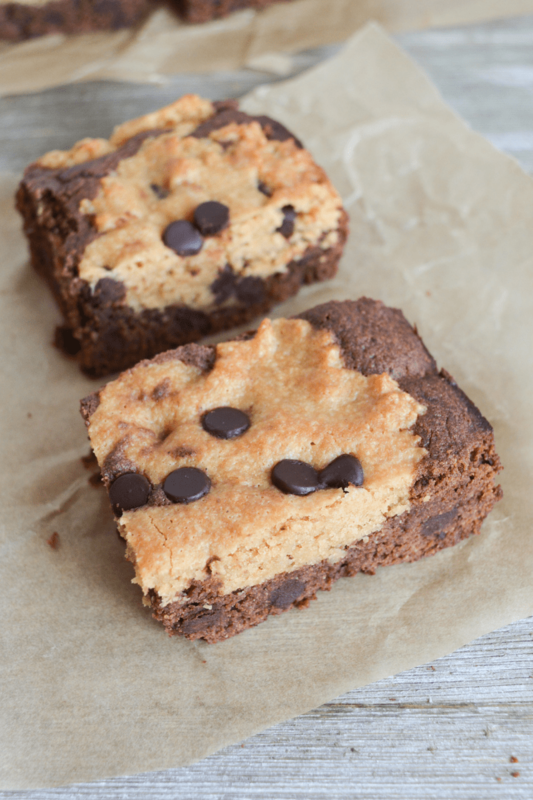 This recipe is also the fusion of two of my popular recipes, Keto Brownies and Peanut Butter Chocolate Chip Cookies. That said, this yummy dessert takes a bit of work, but it is TOTALLY worth it. 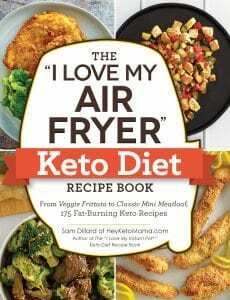 What ingredients will I need to make keto brookies? The ingredients list is simple. And you’ll likely have everything you need in your pantry already! Don’t you love when it works out that way? I wouldn’t try to substitute coconut flour in this recipe. I don’t think the taste would be great, but you’re welcome to try. Just know that you need much less (about 1/4 as much) coconut flour as you do almond flour. Definitely use powdered Erythritol where the recipe calls for it. This significantly cuts the cooling effect of the Erythritol and makes for a better batter. Here’s a breakdown of the nutrition of each ingredient I used. 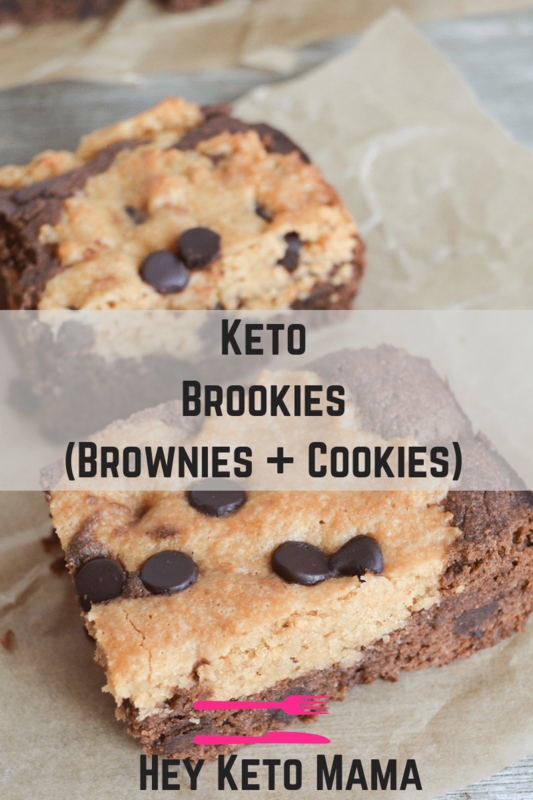 Keto Brookies - Low Carb brownies and cookies all in one! Preheat oven to 350 and line a 9×9 baking dish with parchment, set aside. Add the almond flour, cocoa powder, baking powder and salt. Fold in chocolate chips and scrape batter into prepared 8×8 baking dish. In a medium bowl mix melted butter, peanut butter, erythritol, and egg until very smooth. Add almond flour, baking powder, baking soda, and salt. Mix until well combined..
Scoop spoonfuls of cookie batter directly on the brownie layer. Feel free to swirl the batters together, or just press the cookie layer in gently. Bake for 20-25 minutes at 350 degrees. A toothpick should come out of the center mostly clean. Allow brookies to cool completely before digging in! In the brownie layer, Is the powdered erythritol the kind you use to make frosting, or just the granulated? Your recipe looks delicious. Yes, I think that kind of erythritol (powdered) works much better in this recipe! how do you calculate the net carbs? 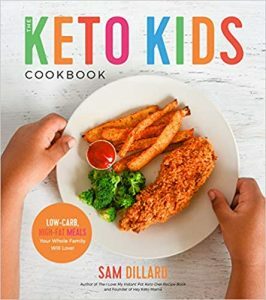 i thought net carbs were total carbs less fiber less added sugars? 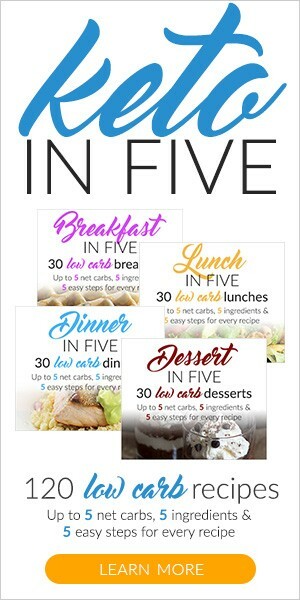 can you please elaborate how you came up to 4.3g of net carbs? i’d love to make these!